The Finnish economy is expected to continue growing during 2018, but the growth is expected to slow in both 2019 and 2020. The Finnish economy recovered rapidly, and the economic growth during the past few years is expected to increase demand for labour whereby the employment growth will be faster than seen in many years. In 2018, the GDP is expected to grow by 2.6 per cent and the growth in private consumption is expected to accelerate as a result of the rise in employment.2 Private investments and consumer consumption have also been increasing. The growth in world trade is expected to improve Finnish export prospects over the following years. The situation in the global market has led to favourable financing conditions for companies in Finland. This has supported growth and made new investments possible also for smaller companies. The construction sector especially has been growing after a few years of stagnation. During 2017, 2,610 bankruptcy proceedings were commenced, which is 10.3 per cent fewer than in 2016.3 A total of 2,588 bankruptcy proceedings were ended in 2017.4 However, owing to data system changes in the Finnish tax administration, the amount of bankruptcies between January 2018 and March 2018 has increased by 60.4 per cent compared to the corresponding period in 2017. Consequently, the Finnish tax administration, one of the main initiators of the bankruptcy proceedings, filed 339.8 per cent more bankruptcy petitions between January 2018 and March 2018 than in the corresponding period in 2017.5 Between January 2018 and May 2018 there were 30.3 per cent more bankruptcy petitions than in the corresponding period in 2017.6 Despite this statistical peak, the overall rate of bankruptcies is steadily decreasing. Also, in 2017 the majority of bankruptcy proceedings lapsed owing to the lack of required funds to finance the proceedings. This indicates that the majority of the bankrupt companies have been fairly small. In 2017, there were 3 per cent fewer commenced restructuring proceedings than in 2016.7 Between January 2018 and April 2018, there were 104 applications for restructuring, which is 10.3 per cent less than in the corresponding period in 2017. The number of employees affected by the restructuring proceedings was 27.5 per cent less than in 2017. The amount of restructuring proceedings has been in steady decline over the past years. Approximately two-thirds of restructuring proceedings end with a court-approved restructuring programme. However, restructuring proceedings are very often discontinued as the applicant goes bankrupt. Finnish legislation recognises two alternative overall insolvency proceedings for companies: bankruptcy and restructuring.8 Bankruptcy aims to divide the remaining assets of an insolvent company between its creditors. Restructuring aims to arrange the debts and to rehabilitate the viable business of the company in order to keep the business running. Bankruptcy proceedings are regulated in the Finnish Bankruptcy Act9 and begin with a district court's order upon an application. The application may be filed by the debtor or by a creditor. In practice, a majority of bankruptcy proceedings commence by a petition of Finnish insurance companies or tax authorities. The main prerequisite for a bankruptcy is that the company is insolvent, (i.e., other than temporarily unable to repay its debts as they fall due). When the debtor itself petitions for a bankruptcy, its own announcement of insolvency is generally sufficient. If the bankruptcy has been petitioned by a creditor, the district court must investigate the claimed insolvency in more detail. If the debtor contests the petition, the matter will be handled in the court as a non-contentious civil case. Unless the debtor proves otherwise, the district court generally deems it insolvent if: (1) the debtor has discontinued its payments; (2) it has been determined in enforcement proceedings that the debtor cannot repay the claim in full; or (3) the debtor has not repaid the clear and due claim of the creditor within a week of the receipt of a reminder. In practice, debtors are deemed insolvent relatively easily. A debtor may not be declared bankrupt on the petition of a creditor if the creditor holds adequate collateral. Bankruptcy may be ordered reversed on the joint petition of the debtor and the creditor who filed the bankruptcy petition or, if the debtor has been declared bankrupt on his or her own petition, on the petition of the debtor. The application for reversal must be filed within eight days of the order of bankruptcy. There must be a valid reason for the reversal. Said valid reason is, in practice, usually that the receivables of the creditor who filed the bankruptcy petition have been paid. At the beginning of a bankruptcy, a district court appoints an estate administrator. The estate administrator is usually an attorney-at-law that the creditors have suggested. When bankruptcy proceedings begin the debtor loses its authority over the company's assets and the assets are transferred to the possession of the estate and are governed by an estate administrator. The creditors who have a claim in bankruptcy proceedings exercise their authority over the bankruptcy estate in the creditor's meeting. The main rule is that the creditors must lodge their claims before a certain lodgement date in order to become creditors of the bankruptcy process. A claim in bankruptcy proceedings means a debt is owed by the debtor and based on a commitment or other legal basis that has arisen before the beginning of bankruptcy. The debts that have arisen after the beginning of bankruptcy are not claims in the bankruptcy proceedings and the bankruptcy estate is obliged to pay them when they fall due. This means that a bankruptcy estate can also be declared bankrupt. The purpose of a bankruptcy is to divide between the creditors as high a level of disbursement as possible. Secured debts have the primary right to disbursements. A bankruptcy ends either with the certification of the disbursement list and the payment of disbursements or with the collapse of proceedings. In practice, many small companies do not go through the whole liquidation process as the proceedings collapse because there are no funds to cover the costs of the proceedings. Usually the debtors are not willing to participate in funding the bankruptcy process. In some cases, the bankruptcy may continue as a public receivership, in which the costs of bankruptcy proceedings are paid from state funds in so far as the funds of the bankruptcy estate are insufficient to cover the costs of bankruptcy proceedings. Commencing the public receivership requires in practice adequate public interest to conduct the estate administration. This means a need to clarify the estate, for example, in order to be able to file a request for criminal investigation to police officials. The public receivership can also be commenced if the funds are not sufficient to cover the costs of the bankruptcy proceedings or if there are other significant reasons. The estate administrator is obliged, within two months from the beginning of bankruptcy, to draft an estate inventory and a debtor description (the trustee's clarification and observations of the debtor's business and inter alia reasons that led to insolvency, as well as observations made by the trustee). As from 1 March 2013, the estate administrator is obliged to present the debtor description to the prosecutor, the debtor, the main creditors and, at request, also to other creditors and the pretrial investigation authority, namely, the police. Also as from 1 March 2013 the estate administrator is – with certain limitations – obliged to draft a request for investigation for police authorities if the estate administrator has any reason to suspect that the debtor has committed a crime. Restructuring proceedings are regulated in the Finnish Restructuring of Enterprises Act.10 Restructuring proceedings include debt arrangements that are made in order to rehabilitate a distressed and insolvent company's viable business and to ensure its continued viability. Restructuring proceedings require that the company is insolvent or at least faces imminent insolvency, and that they should be initiated before the cash flow forces the company or its creditors to reconsider bankruptcy. Restructuring proceedings are fairly expensive and time consuming as it normally takes about a year before a possible restructuring programme is approved and the proceedings end. If the company's assets are not sufficient to cover the costs of the proceeding, the proceeding cannot be started. During the proceedings the company normally faces difficulties with suppliers, etc., owing to entries in the official records stating that the company is undergoing restructuring proceedings. These entries are indicators of insolvency and they tend to lead to suppliers, etc. requiring payment up front, which can be harsh on an insolvent company. Restructuring proceedings cannot be started if the debtor is insolvent and it is probable that the restructuring programme will not remedy the insolvency or prevent its recurrence other than for a short period, nor can they be started if it is probable that the debtor will not be able to repay debts arising after the commencement of the proceedings. In addition, any debtor's offences or other criminal actions by the company or anyone acting on its behalf, or material defects in the company's books, will also form a barrier for restructuring proceedings. The application for restructuring proceedings may be filed by the debtor, creditor, several creditors together or a probable creditor. Restructuring proceedings begin with a district court's order upon an application, which normally is filed by the debtor company itself. When the restructuring proceedings begin, the court appoints an administrator. A court-appointed administrator, most often an attorney-at-law, will help the company to find different ways of rehabilitating the business. The administrator shall prepare a report of the debtor's assets, liabilities and other undertakings and regarding the circumstances that affect the financial position of the debtor and its expected development. The purpose of the report is to enable the creditors to assess the possibilities for an enforceable restructuring programme. The administrator monitors and supervises the debtor's activities that are subject to the proceedings and sees to an audit of the debtor's activities. The administrator's main task is to prepare a draft-restructuring programme together with the debtor and with the assistance of the creditors. The debtor and the creditors are also allowed to submit their own competing programmes to the court. It is common for the debtor to submit a competing programme but very rare for the creditors to do so. There are no regulations or case law on how a creditor-based programme should be dealt with together with the administrator's programme. The restructuring programme shall specify the measures and arrangements designed to improve the debtor's activities and the measures and arrangements that affect the status of the debtor and the creditors, as well as the reasons for the same. The programme should contain provisions on the debtor's activities, whether they are to be continued or altered, the measures and arrangements relating to the assets of the debtor, such as allowing the debtor to retain assets, the liquidation or transfer of assets, the manner of liquidation or transfer, and the resulting or expected revenue from the same, arrangements regarding restructuring debts and the duty to make supplementary payments, arrangements regarding the personnel and remunerations to the debtor or an entity or person close to it for their services, and the financing and monitoring of the programme. The restructuring programme must be approved by a majority of the creditors of the company. Therefore, if there is a justifiable reason to believe that the necessary conditions for the preparation or approval of a restructuring programme for the debtor do not exist, the application should not be approved in the first place or the proceedings should be interrupted. One significant difference between restructuring and bankruptcy proceedings is that the commencement of restructuring has no effect on the debtor's authority to dispose of its property and to decide on its activities. Some activities, such as taking on a new debt or the transfer of business require the consent of the court-appointed administrator. 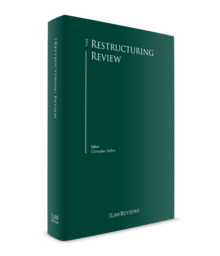 The commencement of restructuring proceedings has no effect on the existing undertakings of the debtor, but the commencement of proceedings interrupts the accrual of overdue interest on restructuring debts. An interdiction of repayment of restructuring debts follows from the commencement of the proceedings. The restructuring debts can only be paid based on an approved restructuring programme or with the administrator's approval (e.g., small debts). After the commencement of the proceedings, no measures can be directed at the debtor in order to collect on a restructuring debt. This provides the debtor time to find ways to rehabilitate the business. Debt arrangements cover only restructuring debts that have arisen before the filing of the restructuring application, and all debts arisen after the filing must be paid when falling due. Restructuring proceedings cannot be used to prevent a creditor from collecting his or her claim or otherwise to violate the rights of a creditor. There must, hence, be a genuine aim to rehabilitate the company. When a restructuring programme has been approved by the district court, all entries are removed and the company can perform its business with only the restrictions that are mentioned in the programme. The programme itself is enforceable, so should the debtor not pay its restructuring debts in accordance with the programme or otherwise act as required in the programme, a creditor can file for bankruptcy. The Finnish Companies Act12 includes provisions concerning the liabilities of directors of companies in financial difficulties. Many of the provisions originate from the need to inform shareholders and debtors as well as authorities of possible difficulties. According to the Finnish Companies Act, the management of the company shall act with due care and promote the interests of the company. The requirement to act with due care is connected to the liability issues: the members of the board of directors or the supervisory board as well as the CEO are liable for the loss that they, in violation of the duty of care, or in violation of other provisions of the Companies Act or the articles of association of the company, have deliberately or negligently caused to the company. The requirement to act with due care can be interpreted widely and thus it can be applied to various situations. The definition of due care shall be interpreted by comparing the actual actions taken to actions expected from a diligent person in an equivalent position. The concept of due care and the liability of the management has been specified through case law. It is typical that the liability issues are observed thoroughly in bankruptcy situations as it is in the interest of the bankruptcy estate as well as the creditors. The liability is mainly collective covering the board of directors as a whole and can actualise simply on the basis of participation in a specific board meeting. When insolvency is forthcoming, the equity of the company often turns negative. This triggers the duty of the board to notify the Finnish Trade Register of the loss of the company's share capital. Publicly listed companies are obliged to make a register notification when the equity of the company is less than half of the share capital. Neglecting the register notification is a violation of the Finnish Companies Act and may lead to personal liability of board members. Finnish legislation does not include any obligation for a company to start insolvency proceedings. The board may, however, be considered to have caused the company damage if the board did not make a petition for insolvency proceedings in time. In Finland, the bankruptcy petitioner is often a creditor (i.e., the Tax Administration or an insurance company, not the company itself). Publicly listed companies have an ongoing disclosure obligation according to the Securities Markets Act.13 In situations where the company is facing financial difficulties, the management of the company need to pay special attention to the obligation to disclose significant changes in the company's financial situation. In Finland clawback actions are regulated in the Act on Recovery to a Bankruptcy Estate, and the Act is applicable to both bankruptcy and restructuring proceedings.14 Transactions made by the debtor prior to applying restructuring or bankruptcy proceedings may be subject to clawback if the transactions are harmful for the creditors. The main and most commonly applied provisions are the general recovery provision (Section 5) and provision regarding the recovery of payment of a debt (Section 10). They are typically invoked together, but there are also cases that are based only on the general recovery provision. According to Section 10, a payment of a debt carried out later than three months prior to applying the insolvency proceeding may be subject to clawback if the payment has been performed with unusual payment instruments or prematurely or with an amount that is considerable in relation to the assets of the debtor. An amount corresponding to around 10 per cent of the net assets of the estate is considered to be considerable. If the payment has been made to a person closely associated to the debtor, the time limit for clawback is two years. Clawback may be performed even if the transaction itself is valid and the creditor has acted in good faith. The general recovery provision in Section 5 covers all kinds of transactions up to five years prior to applying of the insolvency proceedings. However, Section 5 is applicable only to inappropriate transactions that are made in order to evade the legal consequences of bankruptcy or restructuring. The prerequisite for applying this recovery provision is that the creditor has acted in bad faith. 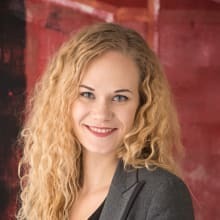 In addition to the aforementioned clawback provisions, the Finnish Act on Recovery to a Bankruptcy Estate includes several specific provisions regarding for example, clawback of gifts, unreasonable benefits and collateral. The clawback provisions are not applicable to customary transactions. Therefore, a transaction may not be recovered if it is, considering the specific circumstances of the case, an usual payment related to the ordinary business. In order to be subject to clawback, the transaction must be in deviation from previous practices and related to the future insolvency of the company. A clawback claim may be made by a creditor or an administrator. A valid transaction made by the debtor is recovered, and the assets transferred in the transaction are returned to the bankrupt's estate or, in restructuring proceedings, to the company. If the transferred assets do not exist anymore, the creditor must compensate the value of the assets. However, in restructuring proceedings, if the claim for clawback is carried on solely by a creditor (without the support of the administrator), the assets are transferred directly to the creditor. Clawback claims are common in Finland, especially in bankruptcies, as clawback regulations may also be used to recover actions that without the insolvency proceedings would be considered valid. The threshold in the presentation of evidence is considered to be fairly low. There have been no fundamental alterations to the insolvency legislation or legal praxis. One of the current hot topics is the bankruptcy estate's liability for the waste caused by the bankrupt company as well as the environmental views regarding the role of, for example, the bankruptcy estate. Another hot topic is the possibility of using debt conversion as a means of restructuring. The below sections concerning future developments include our views of the possible forthcoming reforms. During the past years there have been problems regarding cost-effectiveness in the retail trade sector. The increasing global trend of online shopping is likely to be one major reason. As a result, we have seen some large-scale bankruptcies and restructuring proceedings in this field. In 2017, a chain of retail shops named Hong Kong entered into restructuring proceedings. The entity consisted of a total of 29 companies. The restructuring proceedings of the Hong Kong group were finalised in March 2018 when the district court approved the restructuring programmes for all the group companies. The most central debt arrangement action in the Hong Kong restructuring proceedings was to merge all retail subsidiaries into another subsidiary, Hong Kong Suomi Oy, which continues as the only subsidiary of Hong Kong Group Oy. The restructuring programmes of the subsidiaries were identical. Another major retail chain named Seppälä Oy was granted restructuring proceedings in April 2017. When filing for restructuring proceedings the company had a total of 78 stores in Finland. According to the restructuring decision, the company's problems were caused mainly by its wide structure, which led to costs that the business could not cover. Seppälä was declared bankrupt in September 2017, only five months into the restructuring proceedings. Another bigger entity entering into restructuring during 2017 was Skaala, a windows and doors manufacturing group. Some creditors filed for bankruptcy in August 2017, but the three Finnish Skaala companies filed for restructuring, and restructuring proceedings were commenced in October 2017. At the same time, one Swedish subsidiary of Skaala was declared bankrupt. Some smaller publicly listed companies (Talvivaara Mining Company Plc (as from November 2017 Ahtium Oyj), Trainers' House Plc, Componenta Corporation) have entered into restructuring proceedings during the past few years. The reason for these companies' insolvency differ. Ahtium Plc was a holding company whose subsidiary entered into restructuring proceedings at the same time but entered into bankruptcy proceedings after a short time. Restructuring of a holding company with no business of its own and no valid holding business forced the company to undertake in the restructuring programme to bring new business to the company within a specific period. Ahtium Plc had the exceptionally low payment of 1 per cent approved by the court. The restructuring programme was approved at the beginning of June 2017. Ahtium Plc was declared bankrupt in March 2018 after some major business negotiations failed. Componenta Corporation has also acted as a holding company. At the same time as Componenta Corporation filed an application for restructuring in Finland, one subsidiary in Finland and several subsidiaries in Sweden filed for restructuring and one subsidiary filed for bankruptcy in the Netherlands. This is the most international Finnish insolvency case in the past few years. One binding factor for the above-mentioned publicly listed companies is conversion of receivables as a means of restructuring during the proceedings. The companies have either during the proceedings issued a convertible loan, the noteholders of which have the right to convert their receivables into shares or issued new shares to their restructuring creditors. There are no regulations on how such a conversion of receivables should be enforced but it has been accepted by the courts. The Finnish government has initiated a working group to discuss whether a forced conversion could be added to the restructuring proceedings legislation. The Regulation (EU) 2015/848 of the European Parliament and of the Council of 20 May 2015 on insolvency proceedings (the New Insolvency Regulation) entered into force on 26 June 2017. The New Insolvency Regulation replaced the previous Regulation (EC) No. 1346/2000. The New Insolvency Regulation is directly applicable in Finland as well as in other Member States of the EU (excluding Denmark), that is, it is in force without also being implemented into national legislation. Finland has, however, prepared several amendments to the national insolvency Acts. The first amendments based on the New Insolvency Regulation came into force on 26 June 2017, and the rest of the suggested amendments will enter into force on 26 June 2018. The central matters in the New Insolvency Regulation are to regulate: (1) which member state is competent to commence insolvency proceedings; (2) which Member State's jurisdiction is applicable; and (3) how the decisions of other Member States are recognised and implemented. In addition, the Regulation includes new provisions regarding insolvency registers and insolvency proceedings of groups of companies. As a result of the national implementation measures, the current Finnish insolvency registers will be expanded and made available to the public via internet and the notice procedures in insolvency proceedings will change. The amendments include several practical matters (e.g., in the future claims in insolvency proceedings may be filed in English). These amendments will be in force as of 26 June 2018. Another EU-based regulation that may later lead to amending the national insolvency Acts is the Proposal for a Directive of the European Parliament and of the Council on preventive restructuring frameworks, second chance and measures to increase the efficiency of restructuring, insolvency and discharge procedures and amending Directive 2012/30/EU (COM (2016) 723 final). This could have an impact, inter alia, on pre-pack proceedings, which are currently not regulated in Finnish legislation. The Directive is currently being discussed within the Council of the EU and its preparatory bodies, and the Finnish Ministry of Justice is investigating matters related to the proposed Directive. In addition to the aforementioned amendments based on EU law, the Finnish government has established a working group to simplify the provisions of the Finnish Bankruptcy Act and to examine the possibility of regulating the liability for environmental damages in bankruptcies. The working group published its suggestions on 4 April 2018. The working group suggests a new Chapter regarding environmental damages to the Finnish Bankruptcy Act. The provisions would regulate the liability of a bankruptcy estate to compensate environmental damage at its own cost. In addition, the working group suggests simplifying and accelerating bankruptcy proceedings. It suggests new regulations regarding a data system, in which the bankruptcy or restructuring administrators would always be obliged to file certain documents. In addition, the working group suggests amendments regarding public receiverships. It is not known when such possible amendments would come into force. 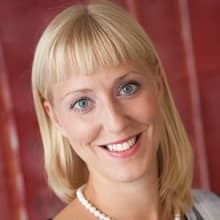 1 Martina Kronström is a partner and Anna Silventoinen is an associate at Sotamaa & Co Attorneys Ltd.
2 Ministry of Finance, Economical Review Spring 2018, Publication 9a/2018. 3 Statistics Finland, published 24 January 2018. 4 Statistics Finland, published 6 June 2018. 5 Statistics Finland, published 24 January 2018. 6 Statistics Finland, published 20 June 2018. 7 Statistics Finland, published 24 January 2018. 8 There are two other insolvency methods, the adjustment of the debts of a private individual and the general enforcement, but they are not presented here in more detail. 9 Finnish Bankruptcy Act, 20 February 2014/120. The Act came into force on 1 September 2014. 10 Finnish Restructuring of Enterprises Act 25 January 1993/ 47, came into force on 8 February 1993. 11 The Office of Bankruptcy Ombudsman, 24 January 2017. 12 The Finnish Companies Act, 21 July 2006, came into force 1 September 2006. 13 The Finnish Securities Markets Act, 14 December 2012, came into force 1 January 2013. 14 Act on Recovery to a Bankruptcy Estate, 26 April 1991/ 758, came into force 1 January 1992.